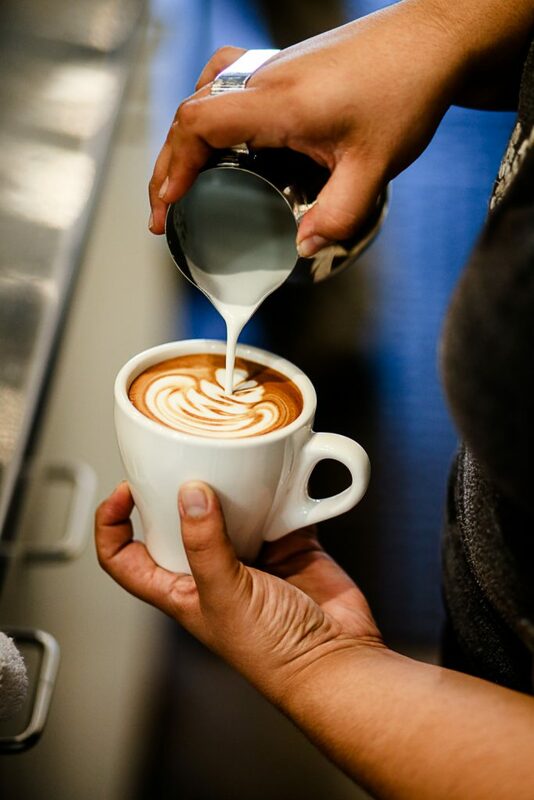 Leap Coffee at Carlsbad Gateway Center (CGC) is an organic and globally sourced café and roastery that focuses on providing people with fresh roasted coffee. 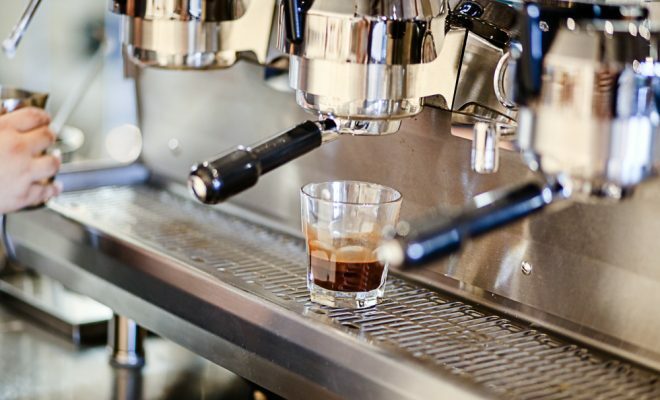 Leap all began when founder, James (JJ) Cutbirth, was just a young boy in a café in Carmel, California where he had his first sip of espresso at age 15. He didn’t realize until years later how much his first sip of espresso would change his life. JJ was a successful medical real estate professional, but he always knew he wanted a business of his own. Over the years, JJ developed a passion for culinary arts and began to research different business opportunities. He thought back to that moment in a little café in Carmel and knew exactly what he wanted to do. Within a few years of dedicating his time to studying the business of specialty coffee, JJ found Carlsbad Gateway Center and he opened Leap Coffee in April 2016. 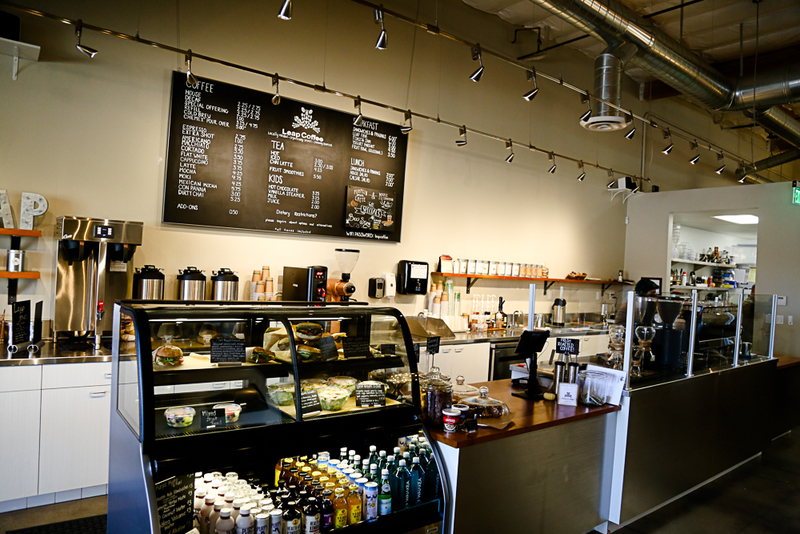 “Carlsbad Gateway Center was the perfect location for Leap because of its great accessibility and community of other commercial business owners and staff to enjoy our coffee and beautiful views,” said PJ Ortega, Leap Coffee’s manager. 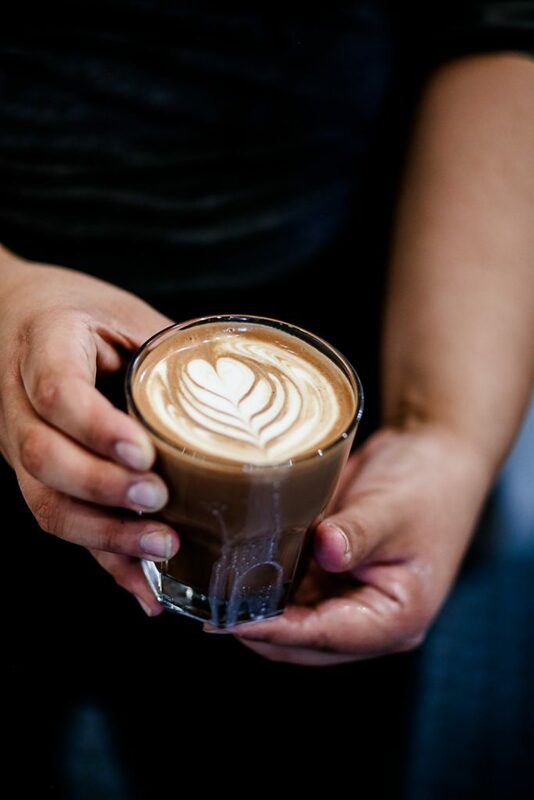 Leap Coffee offers specialty coffee—different from “gourmet” or premium” coffee, specialty coffee means beans that produce the best flavors from specific microclimates having to do with the way the coffee is grown. Leap sources its coffee from a few suppliers that import coffee from around the world. Leap imports all Ethiopian and Yemen coffees using trusted suppliers to receive product that is top quality. Once Leap Coffee imports the green coffee beans, they are hand-roasted by experts at Leap. Roasting different beans daily allows Leap to offer customers a different specialty coffee and espresso drinks every day. The specific type of bean is called Arabica. This is the finest quality bean which represents around 59 percent of the world’s specialty coffee production. Specialty grade is a term that is used to describe coffee beans that rank 80+ points out of 100 according to the Specialty Coffee Association of America (SCAA). Specialty coffees grow in ideal climates and have a full cup taste with little to no defects. Roasting is the last key to beautiful coffee. Creating the perfect roasting profile is a blend of science and a little bit of art. It requires focus and education on how heat affects a coffee bean. It may be easy to roast coffee, but it is not easy to roast great coffee. Leap Coffee is always striving for excellence through the roasting process, taking a great deal of pride in their process and product. The most popular items are the Flat White and Lavender Chai Latte. The Flat white has an Australian origin and is served with a Rostretto espresso shot with micro foam milk. The Lavender Chai Latte is popular for its bold sweet flavor. Chai is a popular option and when you add a little Lavender to it, it creates a beautiful arrangement on your palette. Leap Coffee experts also recommendtrying the pour-over coffee with their specialty roasted beans. Pour-over coffee systems allow the Leap Coffee brewer to watch and adjust the flow and quantity of the water stream into the measured coffee grounds for a personalized brew result. Leap Coffee also offers an array of teas, authentic European pastries, artisan breakfast options, lunch sandwiches crafted in house and salads. Leap Coffee makes the majority of its food items in-store and uses as much organic and local product as possible. Leap also carries Vegan and Gluten-Free options. Customers can also purchase Leap Coffee’s roasted beans from all over the world including Costa Rica, Africa, Indonesia and Mexico. Leap Coffee’s café hours include Monday through Friday from 6:00 a.m. to 5:00 p.m., Saturday from 7:00 a.m. to 4:00 p.m. and Sunday from 8:00 a.m. to 1:00 p.m. For more information visit, www.carlsbadgatewaycenter.com and www.leap.coffee.